Ideally, a search engine should start at your home page and be able to crawl through your entire website. 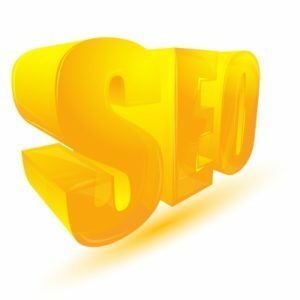 Search engines can crawl several types of links – standard text links, graphics with links and image maps contained within graphics. These links give clear directions for the search engines to follow. They act as a roadmap of your website for search engine crawlers. Site Map pages are also valuable resources for search engines because in one central area the engine can see links to everything. The more of your website the search engine sees, the more times you will appear in a search result for a certain topic. It’s very important that you have text links on your website that contain keywords that you are hoping to compete for. Search engines not only follow links, they also analyze the text within them to help determine a sites relevancy. Graphic links often don’t have any text associated with them, so the engines don’t treat them the same as text links made up of good keywords. If the search engine doesn’t index your entire website, much of the valuable content contained deep within will never appear in a search result. That’s why good text linking is so important. The more direction you give the search engines, the more likely they will follow your links and index larger parts of your website. Think of it as building a nice driveway, parking lot and signs for your business. The easier and more convenient it is for search engines to get in and scan your website, the more traffic they are going to deliver to your website. The more copy and content the search engines can easily find, the more likely you are to reach your audience online. For search engine marketing to succeed, good link architecture is essential. Not only does it create a consistent user experience that will make your end users happy, it ensures you are taking the right steps to be seen by search engines. Being seen is the best way to grow your online business. If people can’t find you, no matter how compelling your message, offer or service, your online business won’t find the audience that’s already looking for you.